the ultimate fishing tournament for all saltwater anglers of all ages. 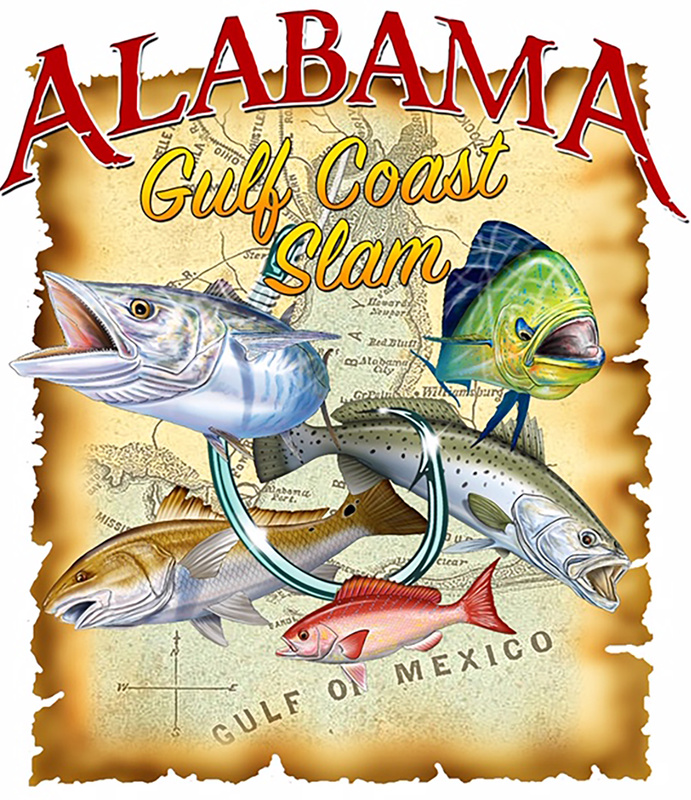 This professional fishing tournament supports the beautiful Alabama Gulf Coast fishing industry and tourism during off season months. Great Prizes! Lot's of Fun and Fishing! We are your guides to the waters that have been attracting people year round to our coast for decades. Our professional captains and crews continue our fishing heritage aboard a broad spectrum of charter boats. On behalf of the Alabama Charter Fishing Association (formerly Orange Beach Fishing Association) and it’s member captains and charters, we welcome you to join us for a memorable experience. You may prefer to explore and fish the backwaters, bayous and bays with an experienced inshore Captain. These charters offer year round opportunities to hook up with one of the many species that inherit these brackish waters. You may choose to cruise the inland waterways and bird watch, spot playful dolphins, picnic, experience the beauty of a sunrise or sunset, or celebrate a special occasion by taking a romantic boat ride to enjoy a meal at a waterfront restaurant. The waters of the Gulf of Mexico, off the Alabama Coast, have become legendary fishing grounds. We troll near the shores for pelagic species and enjoy the excitement of the annual spring Cobia run across our waters. We understand the importance of habitat to fish populations and it is crucial that we maintain sustainable fisheries. Therefore, for more than 50 years, our captains and supporters have helped develop the nation’s largest artificial reef zone. These reefs have become residence for many reef fish species and offer a world-class destination for bottom fishing trips. Venture further offshore to reach the deep blue waters of the Gulf of Mexico for a chance to have the breathtaking experience of fighting a big game sport fish such as Tuna or Marlin. Our captains are stewards of the waters that are home to diverse fisheries and offer spectacular opportunities to enjoy our natural resources. Near the shore, in the deep blue, or anywhere in between, fun-filled memories await. Let our waters entertain you, join us on the Alabama Gulf Coast. Dress for comfort. Bring sunscreen, a camera, sunglasses and wear soft light colored sole shoes. Avoid rich food and excessive alcohol the night before. Eat a light breakfast and if taking motion sickness medication please follow directions. Bring an ample supply of eats and drinks. It is customary to bring eats and drinks for your captain and crew. Please respect the boat and equipment. Your captain and crew have a lot of pride in their vessels and equipment can be costly to you if damaged or lost overboard. Deckhands work hard for you and have pride in your catch. Their day starts several hours before your trip and extends hours after you are gone. We recommend a 15% tip over and above a fish cleaning fee. Make sure you choose a trip that suits you. Our fleet offers 4 hour trips all the way up to 3 day trips. Your Captain can assist you in choosing the appropriate trip to meet your needs. Always inquire about payment method, cancellation and bad weather policies.